Jim the trusty minibus driver. Paints his own shoes and has been known to wear a skirt. 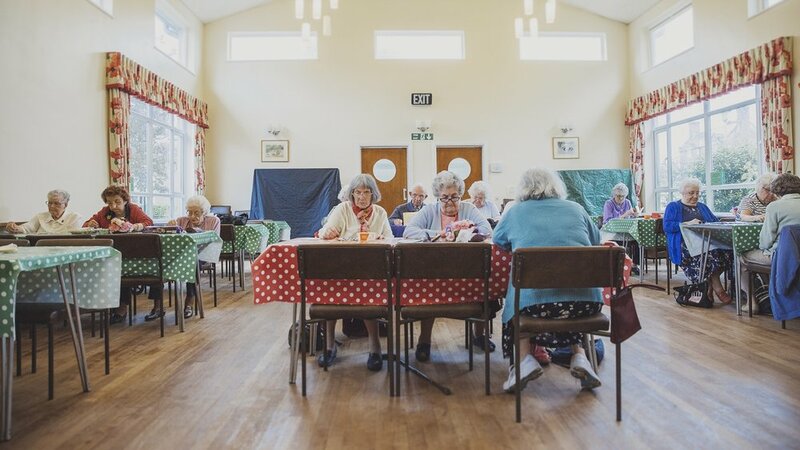 A community centre for the elderly but thriving with life. Bingo is serious business you know. The Hairdresser's is bustling and every Wednesday is opened by two local stylists offering reduced rate hair cuts. 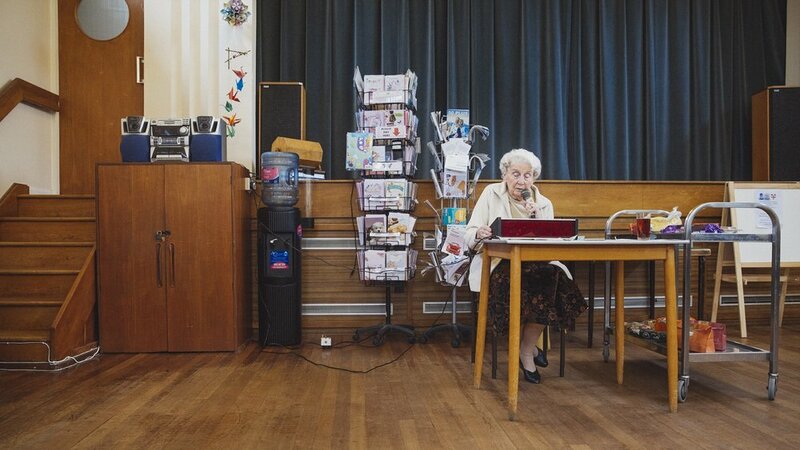 Joan is the leader of the pack so to speak and runs her own shop on site as well as being in charge of calling numbers at Bingo afternoons held on Tuesdays and Fridays. These three ladies were delighted to share their stories and let me take their portrait. At this stage, lunch was eagerly being awaited. Mrs Bridgeman receives her meals at home. She is an amazing lady who struggles with mobility so has literally everything she needs immediatly within her reach. If not her reach, then that of her faithful friend Joy who sits on her shoulder. Giggling, happy and a collector of Doctor Martin boots. This picture captures the genuine joy that these two ladies get from a good gossip. Each Wednesday afternoon Knit & Knatter takes place, not a huge amount of knitting but certainly some talking. This was a great session to get to know some of the visitors, one whom knits hats for fisherman each month. Another bingo session, this time the more popular one on a Tuesday. I didn't get the names of these ladies but they remained deeply engrossed in button bingo. 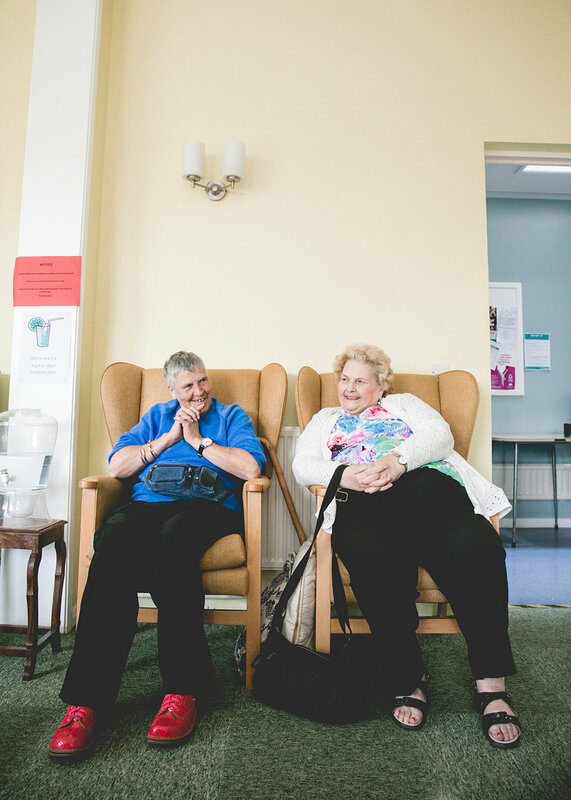 Kirsty & Sue are almost full time volunteers at Fairclose and help wherever is needed, but one of their favourite times of day is tea time after lunch. Biscuits, cakes and a nice brew!